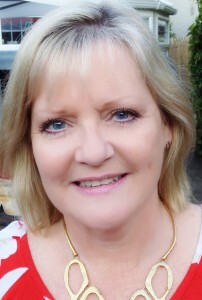 I’m delighted to welcome Deborah Carr, aka Georgina Troy, back to my site today to reflect on a truly non-stop 2015! I write under my own name D M Carr (historicals for Green Shutter Books) and also a pseudonym Georgina Troy (my Jersey Scene Series for Accent Press). Writing is an addiction for me and one I can’t imagine ever wanting, or being able, to give up. It’s one activity that you can work hard at for years and still not achieve your ambitions, but it’s also something that you can completely lose yourself in, and seeing your books available to buy online, or in the shops is a joy I’ll never get used to. 2015 has seen a few writing changes for me. Firstly, A Jersey Kiss (the first book in my Jersey Scene series) was a finalist in the Joan Hessayon Award for new writers and then I amicably parted ways with my fabulous agent, who represented me as Deborah Carr for three years. Writing is an activity that rarely runs smoothly. Just when you think you’ve achieved something it doesn’t end up as you had expected it to. 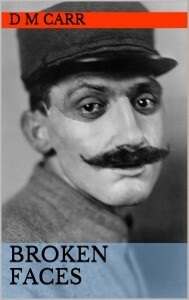 For example, my historical novel, Broken Faces beat 7,000 other entrants to be a runner-up in the Good Housekeeping Novel Writing Competition 2012, the book then received a Special Commendation from the Harry Bowling Prize, and then as if that wasn’t exciting enough, Luigi Bonomi, one of the judges of the Good Housekeeping competition asked to see the full manuscript and then offered to represent me. 2012 was an amazing year and I thought 2013 would be ‘my year’ – it was a good year but not in ways I’d expected. Luigi was wonderful and when Broken Faces almost, but not quite found a home with a publisher, I then wrote two psychological thrillers for him. Both were well received, but didn’t get taken up. I then concentrated on my contemporary romances – The Jersey Scene series – which are based in Jersey but also Sorrento, South of France and Vietnam. 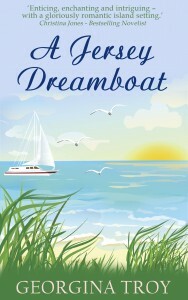 This series is published by Accent Press with book 4, A Jersey Bombshell coming out next April. So, in 2013 I saw my first two books for sale online and in local book shops, then I signed a contract with Accent Press in 2014 for four books in the series and 2015 saw the third book in the series being published. Still though, Broken Faces was languishing in the ether and having spent six years promoting other authors as deputy editor for Novelicious.com looking after the Alternative Thursday posts, interviews, reviews, etc, I decided I needed to step back and rethink my writing career. So Luigi and I parted ways, amicably, and for the time being I’m just reviewing and contributing for Novelicious – because they are the greatest team ever. This month my debut novel as D M Carr (me), Broken Faces, was published by Green Shutter Books. To finally see a book that’s so close to my heart finally published is a dream come true. I’m excited to welcome 2016. I’ve already been contacted about three exciting events during the year, but none that I can share with you, just yet. All I know is that whatever happens I’ll keep on writing and loving it. Perseverance is the key when it comes to writing and I’m nothing if not persistent. Wow such a fab story of success, long may it continue. Wishing you all you wish for yourself this year. Wonderful. You work so hard, I’m in awe of how much writing you fit in! It’s disappointing when things don’t quite go the way you’d hoped – I’ve been in the same boat and can sympathise – but I’ve a feeling your writing career will continue to go from strength to strength in 2016. I would never imagine giving up writing either, Deborah, even if things don’t always turn out the way I had hoped. I wish you lots of success in 2016 with both Broken Faces and your Jersey series!